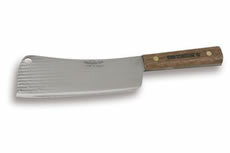 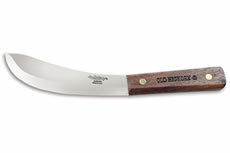 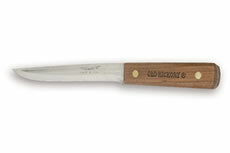 Ontario Knife Company has been manufacturing Old Hickory kitchen knives since 1924. 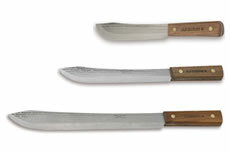 These American made knives are still produced today using old fashioned processes in Franklinville, NY. 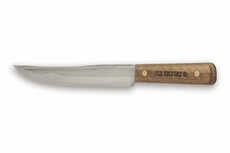 The Old Hickory knives have stood the test of time and proven themselves as the best carbon steel kitchen knife sold today. 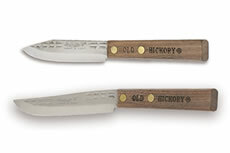 Each Old Hickory knife is made with 1095 carbon steel, fully heat treated and tempered to provide a razor sharp cutting edge which is easily sharpened when needed. 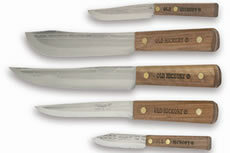 The knives are fitted with an attractive hardwood handle branded "Old Hickory" and secured with brass compression rivets.